Are you feeling hammered by life? We love the idea of being God’s masterpiece, but this means time on the anvil. There is no Fastpass or easy button through the chiseling process of growing in faith. Max Lucado’s first book On the Anvil is still one of my favorites. Its pages are dog-eared and there are a few stains in between the highlighting — evidence of tears that flowed because his words described what mine could not express. That’s because I’ve been on that anvil. Even if you’ve never read the book, I bet you can relate to the analogy. It’s a powerful way to summarize what Scripture teaches about growing in faith as we are refined through trials. It illustrates the purifying that must happen so we can be instruments for noble purposes. Peter referenced a goldsmith’s furnace for our faith. James promised that finished work would follow tested faith. Malachi compared God to a smelter (translated goldsmith/silversmith). And through the prophet Isaiah, God himself spoke of refining his people in the furnace of affliction for his own name sake. When we go through the trials and disappointments and hardships of life, we are desperate for reminders that we’ve not been left alone in a scrap pile and there is a purpose for our pain. If you’re on the anvil, you’re in a fire, beneath a chisel, and under construction. But it’s all taking place in the presence of a master craftsman — a smith. There are two things worth noting here about a smith. The very nature of their craft requires pounding, purifying, heating, molding, reshaping. There is no other method. The smith is an artisan. Each unique piece he crafts is a reflection of him. And he signs his name to his finished work. These things evoke competing emotions for me. I love the idea of being God’s masterpiece and having his fingerprints on my life. I’m all about sparkle and shine and great workmanship. But this smiting thing? #NotSoMuch. And what was the answer in the video? God loves us too much to leave us stagnant and let us get comfortable, slowly sinking into lukewarm or slipping into neutral. Think about what these classic verses about growing in faith would sound like if this were an option. 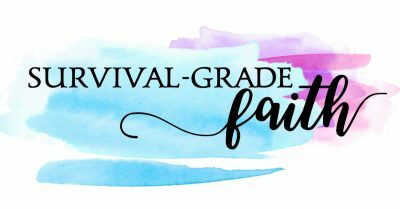 James says the testing of our faith produces endurance and Hebrews calls us to run with endurance just like the heroes of the faith persevered. There is no neutral gear of faith and God spits lukewarm out. The call here is to walk — to run even. … to endure, persist, and persevere. … to grow and be pruned. … to be refined as silver. … to stay on the anvil until we have been shaped, molded, and formed into an instrument for noble purposes, useful to the Master. The process of growing in faith is not a stroll through the park or a trip to Staples. There is no easy button or Disney FastPass. 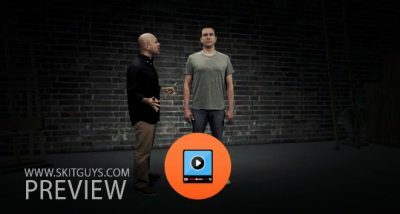 Although we know this, we are tempted to embrace a counterfeit expectation, just like the character in the video. This is a lie the enemy loves to spread. If he can frame our expectation that followers of Christ get an easy button or ticket pass, then when the wind blows and the storm rages — when it’s our time to stay in the wilderness or walk through a valley — we will be tempted to question if God has forsaken us. We’ll stall out trying to make sense of all that doesn’t add up to match our expectations. God isn’t running a theme park; he’s building a Majestic Kingdom — a showroom full of works that reflect his image and his glory. If you’re on the anvil or feeling chiseled, it’s because your Father considers you worthy of his attention to your details. You are not set aside. 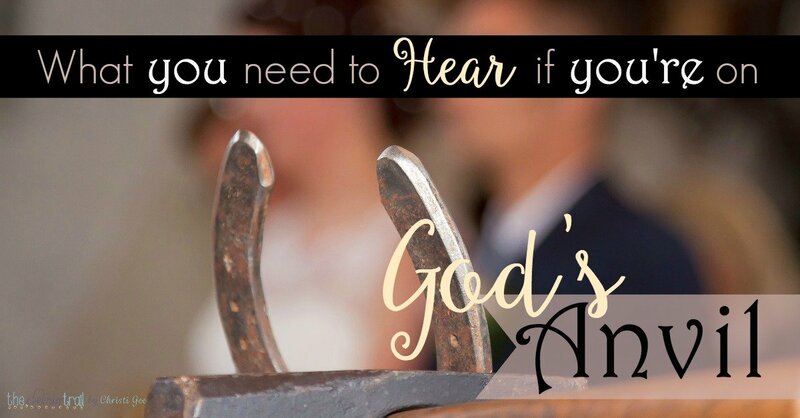 He’s not finished with you, and that’s a GOOD thing. He will do a work in you before he does a work through you, but know this: he is working. Trials, divine discipline, and other anvil experiences refine so that you reflect your Savior more visibly, just like silver reflects more clearly after it has been melted and hammered and buffed. In the process, remember you are transformed by submitting to the Master’s hands, not by changing the circumstances, crawling off the anvil, or running from the smith’s shop. If it is from him, you can trust it because you can trust him. Don’t let your flawed thinking or the enemy convince you to question God’s motives or assume he’s left you to rust in the corner by yourself. 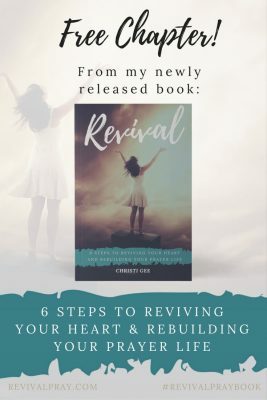 If you need help reviving your heart and rebuilding your prayer life, check out my new book. You can read the opening on Amazon or download a sample chapter here. 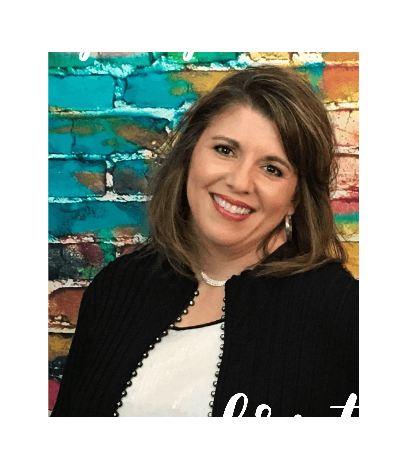 Thanks so much, Christi, for this post! God’s timing is perfect and I know He had this for me today! I know I have read these posts more than once, but each time I seem to get something new. So comforting and encouraging. Keep up the good work! Your words always make me smile … whether you leave them here or I read them in my inbox. I would love to compare bookshelves with you! Another profound word of hope, my friend! Thank you for sharing this encouragement today! I don’t know how you do it. You are the energizer bunny of encouragement. I want to be like you when I grow up!